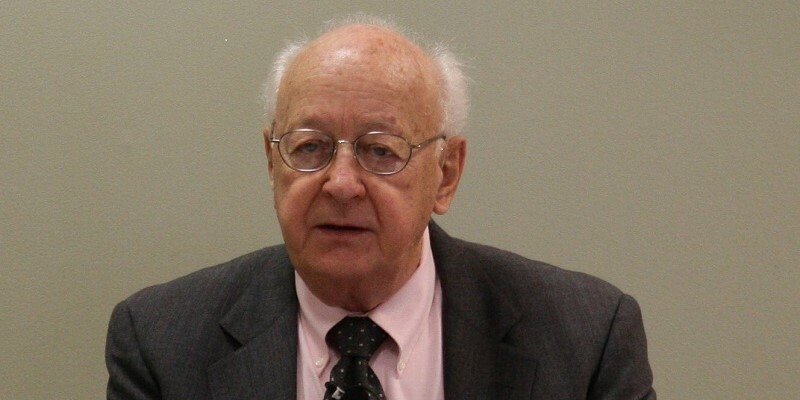 As 2019 dawned, U.S. economist Harold Demsetz passed away. He was one of the most cited economists of the 20th century. One of his early articles tops the list of the most important articles in the American Economic Review (the highest-ranking economic journal). This article is more often cited than the top articles of better-known economists such as Joseph Stiglitz and Paul Krugman who, unlike him, went on to win the Nobel prize in economics. His reach also went beyond economics and deeply affected the legal profession. Most Canadians probably have never heard the name Harold Demsetz. The same is probably true of Americans. In fact, it’s possible that most economists under age 45 would be unable to name him. Yet, he’s well worth knowing. Demsetz is so important because his way of conceiving markets differed from his contemporaries. Back then, economists started from the textbook notions of “perfect competition” and believed that anything that did not conform to this was inefficient and that consumers were being gouged. In such an instance, many economists advocated using government intervention to rectify things. The best example is in the field of competition policy. If a firm was seen as having a large share of a particular market, it was deemed to be a monopoly. As a result, they claimed, there was inefficiency that hurt consumers. The state would have to intervene and break up the large firm. Demsetz contested all that in a very subtle way. Firms decide to innovate and create new products and increase their efficiency due to the lure of large profits (firms don’t typically pursue large market shares per se). After all, why go through a long process of research and development to improve a firm’s efficiency only to gain one or two per cent of the market? By asking this question, Demsetz was flipping the conventional logic on its head. Economists tended to assert that high concentration allowed firms to be monopolists and earn high profits. Demsetz argued that efficient firms were able to secure large market shares and high profits. The lure of large market shares was the incentive to innovate and become quite efficient. Thus, high concentration could be synonymous with improvement in consumer welfare. Demsetz argued that entry barriers could hurt consumers most. As long as a single large firm could reasonably fear competitors from within the industry or from without (e.g. a new product that made that firm’s product obsolete), it would keep acting in a competitive manner. If potential competitors were kept out, then consumers were adversely affected. A Canadian example illustrates this point. In 2008, the Canadian firm that produced the famed BlackBerry phones, Research in Motion, represented 60 per cent of the market for smartphones. Research in Motion achieved that market share by creating a revolutionary new product that satisfied consumers at a relatively low price given the quality (e.g. security features, ease of typing, multitasking abilities, complementary applications). It secured a large market share and large profit. And then, as other firms entered the market for smartphones and improved their products in other dimensions, Research in Motion started losing market share. It’s now only a shadow of what it used to be. Likewise, market leaders such as Amazon, Netflix and Google will fall by the wayside if they are unable to keep innovating and satisfying consumers. If they fail to do so, minor competitors (who are sometimes just a free computer mouse click away) will easily pick up where they dropped the ball and the established firms will face a fate similar to that of Research in Motion. Demsetz’s insight is crucially relevant to modern policymaking. First, it suggests that it’s easy, based only on market share, to confuse efficiency with monopoly. This ideally causes all policymakers to be more humble about their ability to diagnose problems, let alone solve them. Second, and more important, it suggests that the best course of action for policymakers is to follow a “first, do no harm” approach. Rather than ask what governments can do to rectify a situation, the relevant question becomes what has the government done to create the problem. For example, is the government creating barriers to entry in a certain field? Is it limiting competition by subsidizing incumbent players? Is it increasing the cost of entry by imposing burdensome regulations? This is a far humbler policy course that, prior to Demsetz’s work, did not hold much sway. Today, it commands more respect. For that reason alone, it’s worth considering Demsetz to be one of the greatest economists worth knowing.